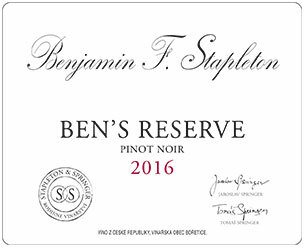 Pinot noir Ben´s reserve 2016 is a wine from Terasy vineyard. Its colour is, thanks to the thicker skin, richer and the tannins content is higher as well. Taste of a ripe cherry, which proves a good ripeness of grapes. 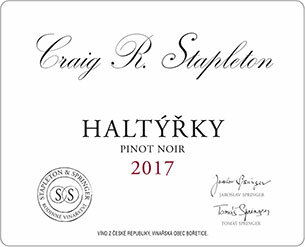 The Craig´s reserve 2017 is a wine from the Haltýřky vineyard. In comparison with Ben´s one, the tannins content is lower and the colour is lighter thanks to a softer skin. Taste of compote strawberries. We start bottle this wine in these days - the first barrique is bottled (300 bottles).